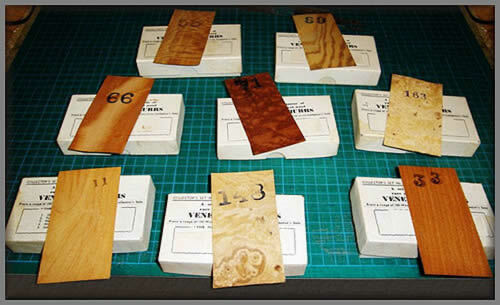 Below we have a collection of specimen veneers in their original boxes. who has given permission to use his photos for inclusion in memory lane. all proceeds will go to the Salvation Army). 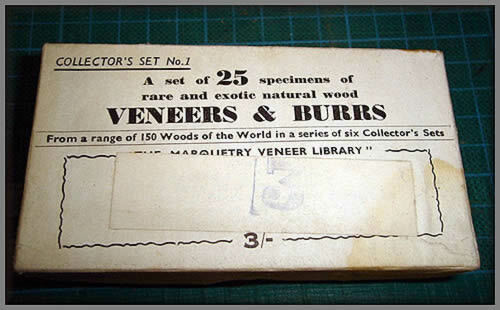 all with various veneers and burrs. 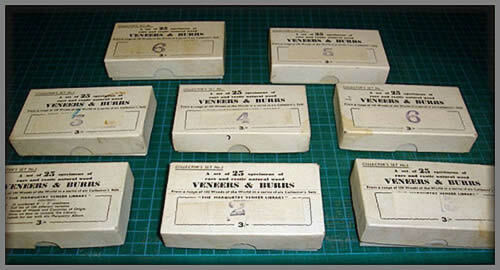 Supplier unfortunately not known! in to us for inclusion in Memory Lane.